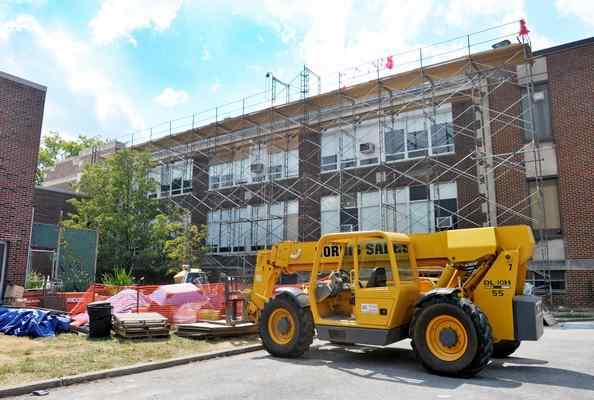 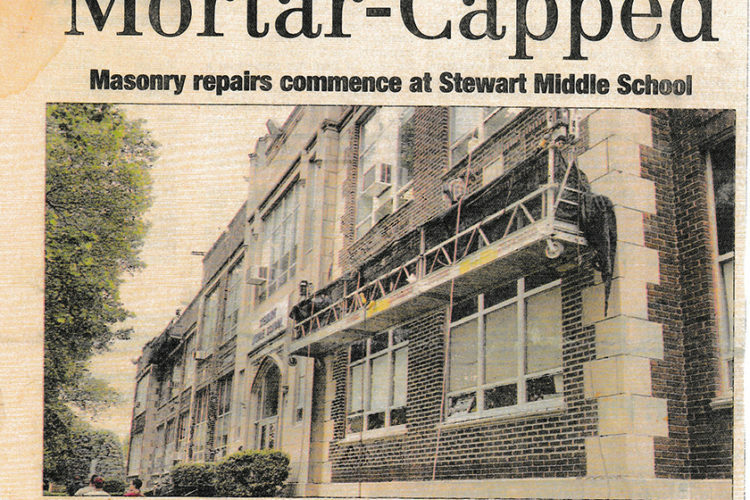 Workers form Palmer Masonry Restoration repoint and replace flashing on the exterior of Stewart Middle School in Norristown. 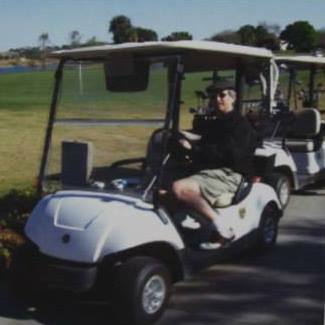 Engineer: Joseph B. Callaghan, Inc. 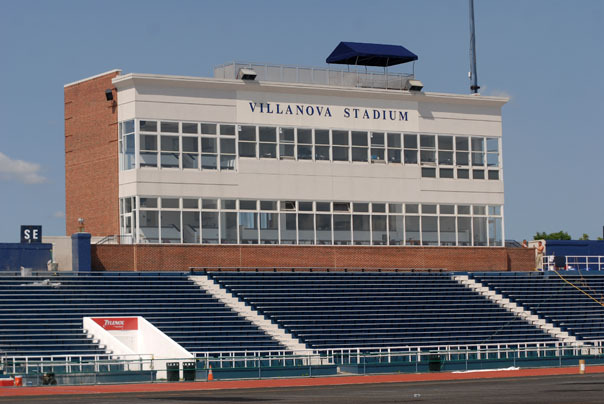 Contractor: Palmer, Inc. Products: NP1 GelPatch 10-60 TrafficGuard EP-35 Sonoguard Thorocoat Villanova Stadium Villanova, PA. Project Description : Villanova University Stadium, built over several decades, was in need to repair failing concrete in the seating area and also wanted to give their stadium a “face lift” to improve the appearance.